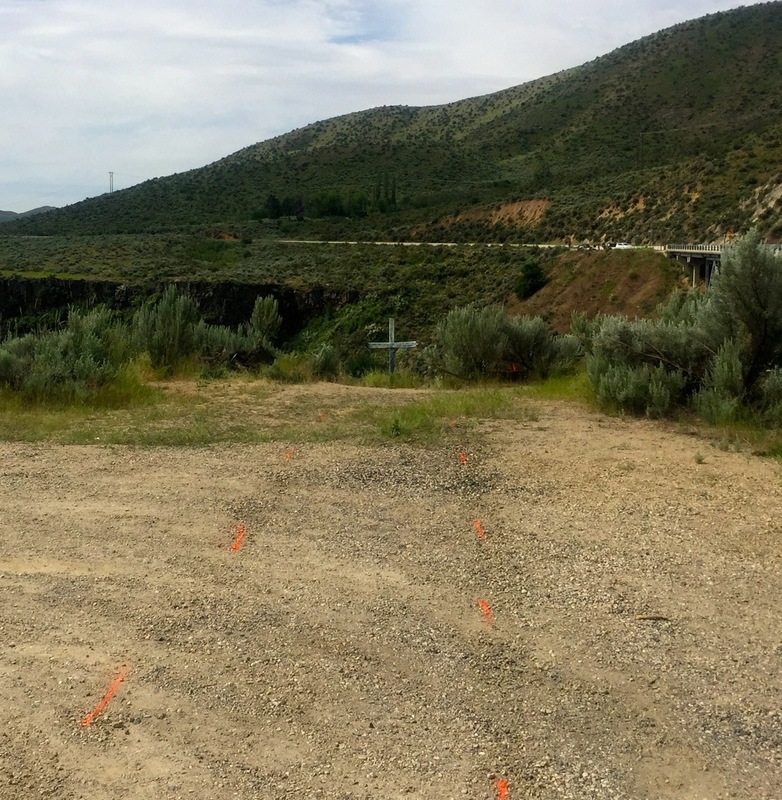 Ada County Sheriff’s Deputies are working to figure out why 40-year-old Noel J. Bankhead drove her SUV over a cliff and into Lucky Peak Thursday morning. The crash killed the woman and three children inside the Land Rover – girls Anika and Gwyneth Voermans, ages 13 and 8, and 11-year-old boy Logan Voermans. The SUV went under about 40 feet of water before it hit the bottom. Divers with the Boise Fire Department recovered the bodies of the three kids from the water Thursday morning. They could not remove the body of the woman, who was trapped inside the badly damaged SUV. Members of the ACSO dive team were able to float the SUV to the surface and get it out of the water by late Thursday afternoon. 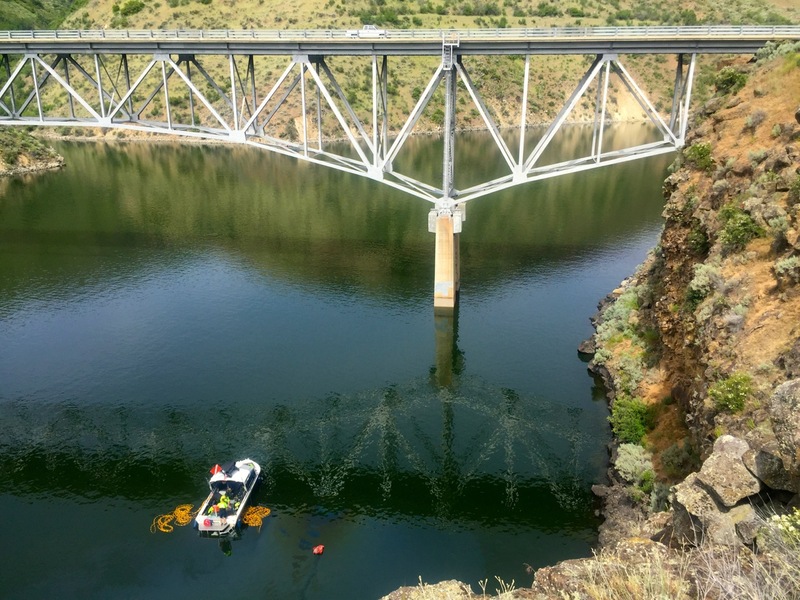 Deputies began their investigation just before 7 a.m. when 911 dispatchers got a call reporting that an SUV just drove off the cliff, just north of the Idaho 21 long bridge, and into the water. Deputies arrived moments later and saw an oil slick and debris on the surface of the water. 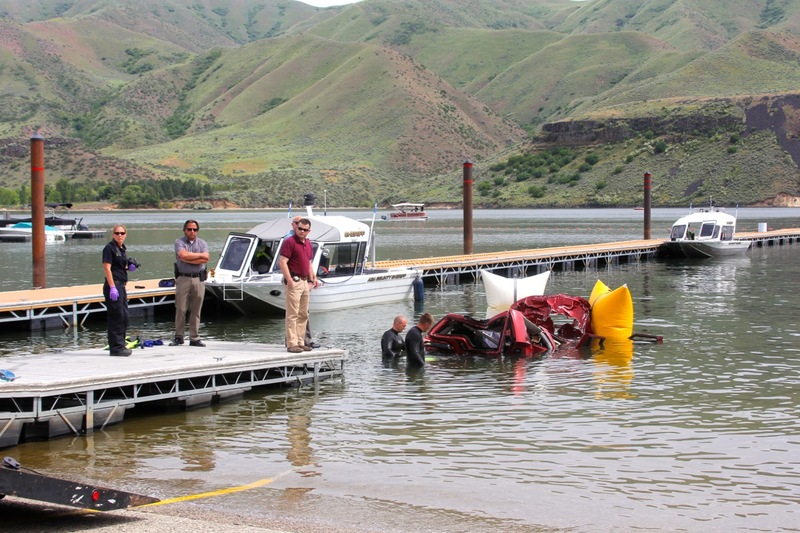 The Boise Fire Department Dive Team arrived a short time later and found the SUV and the bodies underwater. The drop between the top of the cliff and the water is an estimated 50 to 70 feet. The force of the impact crushed the top half of the SUV. Deputies are still trying to determine if Noel Bankhead was driving north or south on Idaho 21 before pulling off on to E. Spring Shores Road. A witness told investigators they saw the SUV accelerate from the side of the road to go over the cliff. Deputies found no skid or brake marks where the SUV went over the edge. Investigators will now go through the wreckage and do more evidence tests to see if there were any mechanical problems with the SUV. 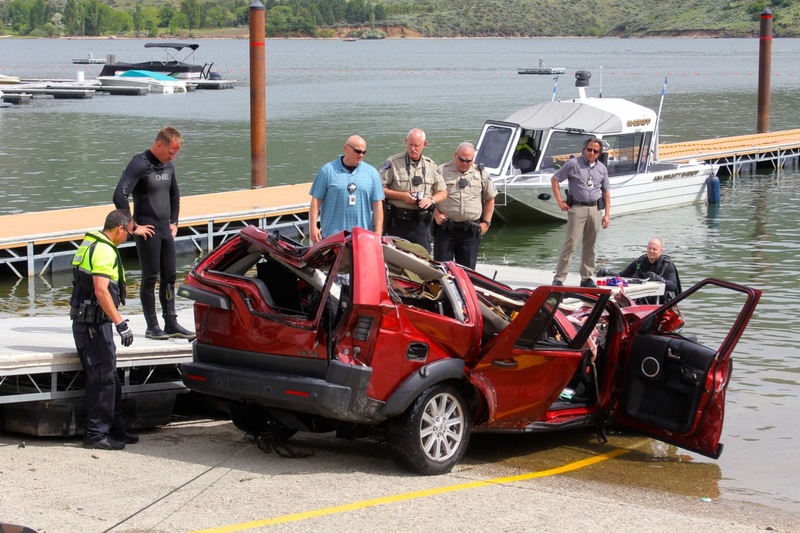 Officials with the Ada County Coroner’s office listed the cause of death for the Voermans as drowning associated with blunt force trauma from the impact of the SUV hitting the water. The manner of death is still under investigation. The results of forensic tests from Noel Bankhead’s autopsy will be part of deputies’ investigation into the crash. Members of the ACSO Victim Witness Coordinator’s team are working to provide support to the family members of the woman and her kids.